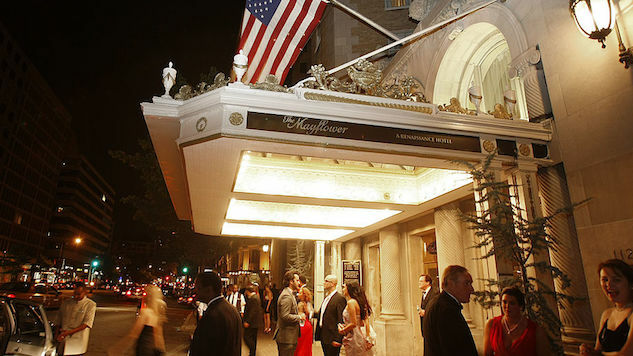 The night before Donald Trump was elected President, hundreds of black ties and ballroom gowns filed into DC’s Mayflower Hotel for the first ever “Asian Pacific American Presidential Inaugural Gala.” Over 900 people paid at least $75 for entry, a handful of sponsors gave anywhere from $5,000 to $10,000, and hundreds of others made small contributions to the National Committee of Asian American Republicans for the event. But all that cash was never accounted for. Li is closely-linked with Cindy Yang, the “spa owner-turned-political operative” with ties to the Chinese Communist party whose access to Trump has sparked congressional calls for an investigation. “Political committees have to disclose all of their receipts and disbursements,” a former FEC attorney told The Post. “There’s no ‘I don’t want to’ exception.” But the rule-breaking didn’t stop there. The committee set up a nonprofit for the gala, and yet it was never registered with the IRS. The guest list included Chinese nationals, even though foreign nationals are barred from donating to American political committees. Only two people were in charge of donations for the gala: Li, and Jason Osborne, a senior adviser to the Trump campaign in 2016. Shortly after the event was held, Osborne registered as a lobbyist for the Northern Mariana Islands, and proceeded to back a bill that would open up significant business opportunities for the casino and other gala donors, which Trump would sign into law. The intriguing story makes up just another entry in the Cindy Yang saga that has been so thoroughly documented by South Florida outlets like The Miami Herald and The Palm Beach Post.